Provide comfort for the family of Melinda Poole with a meaningful gesture of sympathy. 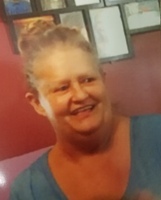 Mrs. Melinda Lee Poole, age 60, passed away Friday March 15, 2019 at her residence in Lawrence, MS. Visitation will be held Sunday March 17, 2019 from 5:00PM until 7:00PM and Monday March 18, 2019 from 9:00AM until 11:50AM at Wolf Funeral Services in Lake, MS. Funeral services will be held in the Wolf Funeral Services Chapel at 12 noon with Bro. Michael Harper and Bro. Deven Alexander officiating. Burial will follow in Pine Ridge Baptist Cemetery in Lawrence, MS.
Mrs. Poole was a lifelong resident of Lawrence, MS. She was a member of the Hazel Baptist Church in Lawrence, MS. She was preceded in death by her parents, George and Barbara Alexander; paternal grandparents, Bolivar and Mandy Alexander, and maternal grandparents, Carl and Mary Lee Fortenberry. She is survived by her husband, Billy Joe Poole of Lawrence, MS; one daughter, Marsha Easterling (Brian) of Mize, MS; two sons, Artie Shaw (Lana) of Carthage, MS and Dusty Shaw of Sebastopol, MS; one brother, Eddie Alexander (Cindy) of Conehatta, MS; two sisters, Sondra Hammons (Doug) and Donna Davis both of Lawrence, MS; eleven grandchildren; five great grandchildren, and a number of nieces, nephews, and other relatives. Pallbearers will be Blake Taylor, Matt Taylor, Josh Alexander, Trevor Alexander, Deven Alexander, and Joseph Easterling. To send flowers in memory of Melinda Lee Poole, please visit our Heartfelt Sympathies Store. Ricky Joe and family. sent flowers to the family of Melinda Lee Poole. Ricky Joe and family. 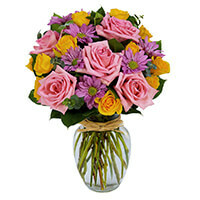 purchased the Spring Brilliance Bouquet for the family of Melinda Poole.